Slowly but surely, snagged another one! Need two more now. 1000 Campfires was fantastic! Sure would’ve been a guy to know! Listening to Jay Campbell talk about him a bit on the Traditional Outdoors podcast reinforces that as well. Book is in great shape other than the paper cover! That's a good one! That was the only traditional archery book at our local library and I'm pretty sure I checked it out at least a dozen times. Nice score. It's a great little book. Jay Massey got me started in building wood bows, not personally but through his writings. I also have "The book of Primitive Archery" and both books were signed to me by Jay, The "Bowyers Craft" in 1987 and Primitive Archery in 1990. I also acquired "A Thousand Campfires" a few years ago. And, I have what I was told and I believe is one of Jays sinew backed osage bows with a halibut skin cover. All prized positions. That was my favorite book of Jay Massey's. 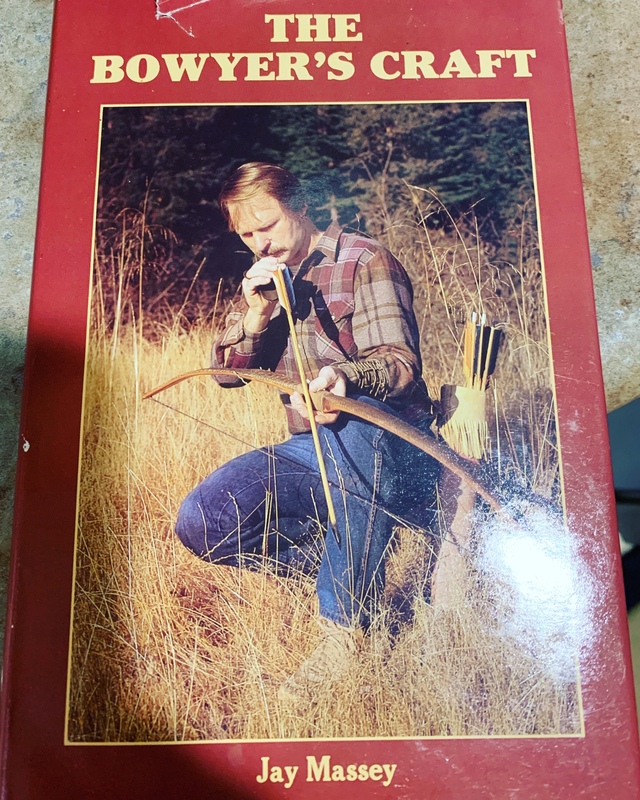 I know his other books were more popular but this is the book that got me and some friends to start building laminated glass bows and making our own broadheads, quivers. and such. I know Jay mostly made sinew backed self bows but it has a great chapter on laminated bows also. Would really like to get his books, all it takes is a bit of luck. LOL I didn’t outbid? It was a buy it now though if that’s what you mean. There was another for sale on a FB group I saw as well. Ron, very cool!! Thanks for sharing! Sounds like the book has helped many people! I have his books and have read them a few times over the years. I was fortunate to speak with him a couple of times while trying to setup up a float trip with him. The trip never panned out before he got sick. It was always a pleasure to speak with him, his love for the outdoors was always foremost. I think I’m the one that steered you to this book. Varmint101 are you Matt? Great book and a great guy for sure.